Dr. Mui earned a degree in Chemical Engineering and was in the work force for four years prior to beginning her career in medicine. She is a graduate of the University of Illinois at Chicago School of Medicine and has over 15 years of providing quality anesthesia. In 2012, Dr. Mui celebrated her 10th year anniversary of working with Centegra Memorial Hospital in Woodstock, Illinois. She likes working in the friendly community settings of our hospital. Throughout the period of growth in McHenry County, she dedicated herself to providing high quality care, without the need to leave the area. She enjoys the broad scope of anesthesia services, ranging from sedation to regional and general anesthesia. 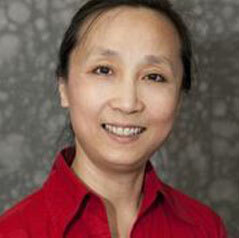 Dr. Mui speaks fluent Cantonese and basic Spanish. She enjoys traveling, reading and gardening.